Shacknews gets down to the details regarding New World, the upcoming sandbox-styled MMO from the team at Amazon Games Orange County. Shacknews recently had a chance to meet with Patrick Gilmore, studio head at Amazon Games Orange County, in order to discuss everything players can expect within the upcoming sandbox MMO New World. 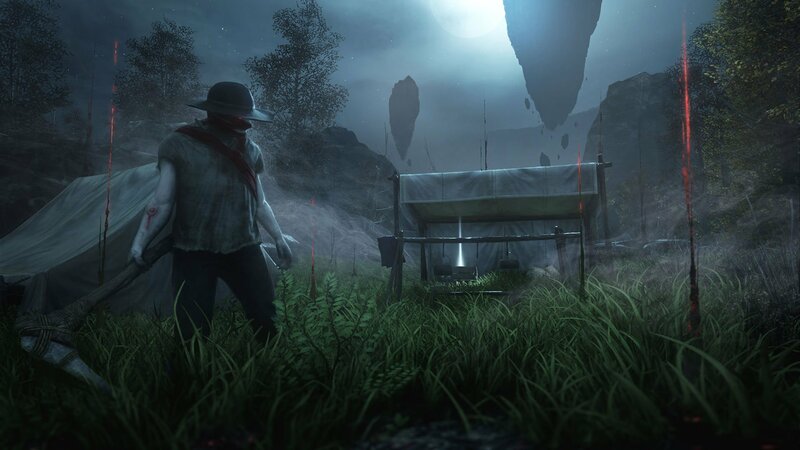 Inspired in part by the growing popularity of the survival genre, New World is a game that aims to blend the traditional MMO experience with the general freedom inherent to sandbox-styled games. Gilmore draw parallels between New World and the popular survival title Rust, saying that New World wanted to take survival and crafting elements in a direction that gave players the freedom to approach challenges in any manner they choose. "We were originally inspired by survival crafting," Gilfmore said, "but really focused on going beyond that to incorporate more traditional MMO elements. [When] compared to a theme park MMO, which is more linear and scripted, we really liked the sandbox elements because we feel like that allows players to chart their own course through the world. "So it's an evolution from games like Rust in that there's a lot of player progression, a lot of specialization, and a lot of ability for players to chart their own course through the game." There's no firm release date for New World just yet, but MMO fans can take place in the game's alpha test, which is currently available for download to eligible Amazon account holders. For more great videos, including games convention coverage and developer interviews, be sure to check out Shacknews and GamerHub.tv over on YouTube.